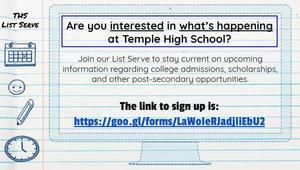 Are you interested in what's happening at Temple High School/ Join our List Serve to stay current on upcoming information regarding college admissions, scholarship, and other post secondary opportunities! Click to sign up! Please join us for an informational session designed just for parents! Les Invitamos asistir una sesion informativa disenada para los padres llamada! 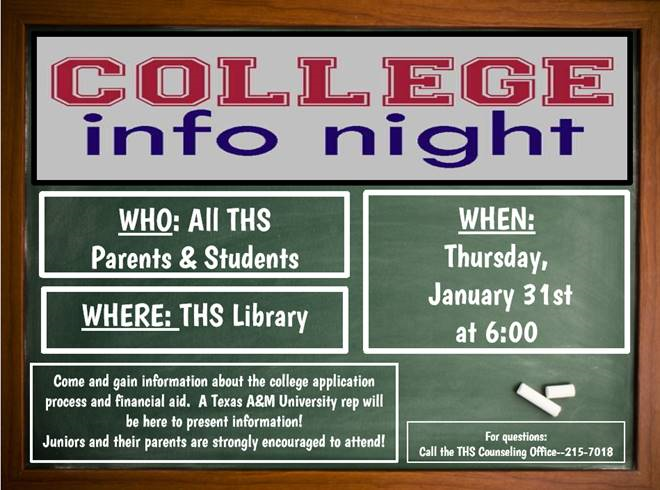 Come and gain information about the college application process and financial aid. A Texas A&M University rep will be here to present information. Juniors and their parents are strongly encouraged to attend! Need to know about ways to pay for College?? 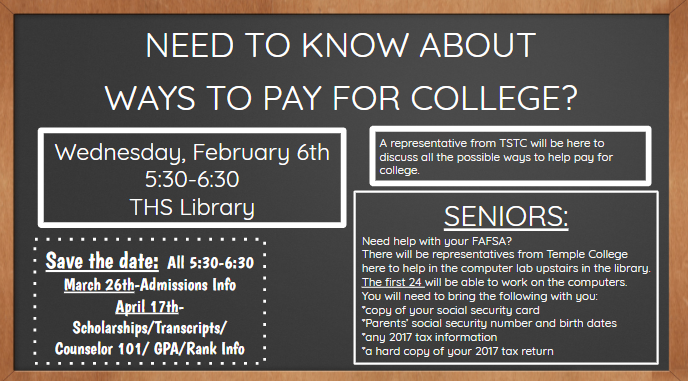 Students interested in Ways to Pay for College should come to the THS Library on Wednesday, February 6th from 5:30-6:30. 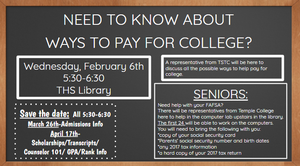 Seniors still needing help with the FAFSA can bring information and the TC financial aid representatives will be available to help walk you through the process. See the information needed on Schoology. The first 24 will get a computer to work on their FAFSA! Come by the counseling office if you have any questions. Juniors - Are you interested in attending Texas A&M University? Are you in the Top 10% of the junior class or Top 25% with qualifying testing scores? Aggieland Saturday on February 9th would be a great event for you!The Central Texas Prospective Student Center will provide FREE transportation to and from campus for a junior student and a parent/guardian to attend! 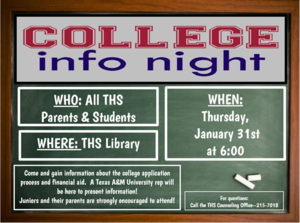 For more information, see Schoology or come by the counselors office. Click to register! Have questions regarding final exam exemptions? We've got answers! 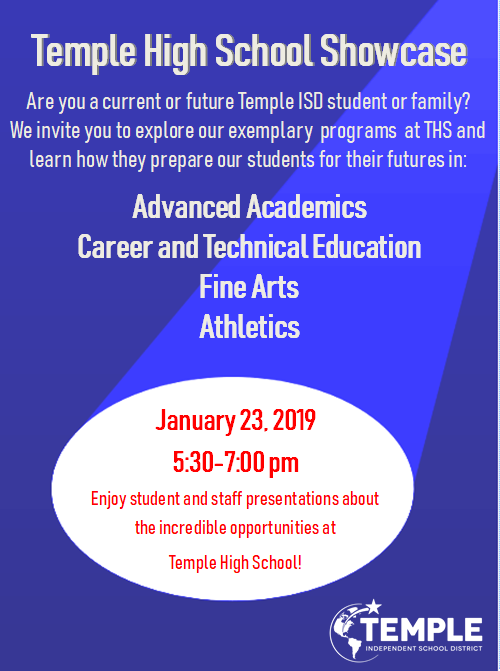 Are you a current or future Temple ISD student or family? We invite you to explore our exemplary programs at THS and learn how they prepare our students for their futures. 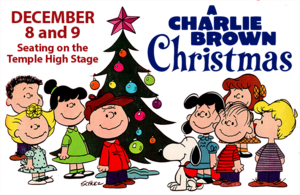 Temple High School Encore will present “Cocoa and Carols” this Thursday evening at 7pm in the Temple High School Auditorium. 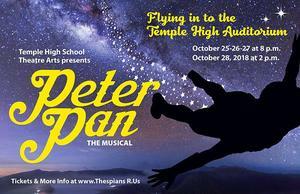 Flying into Temple HS Auditorium October 25, 26, and 27th at 8 P.M., and October 28 at 2 P.M.